Welcome to your exclusive Christmas gifts! BOOKMARK THIS PAGE RIGHT NOW! Below are all of your gifts from your 2016 Twelve Days of Christmas. Some of them are limited-time offerings but I will leave this page up so you can always access the corresponding websites, and the permanent offerings :) Day 5 - 1 will be added leading up to Christmas. 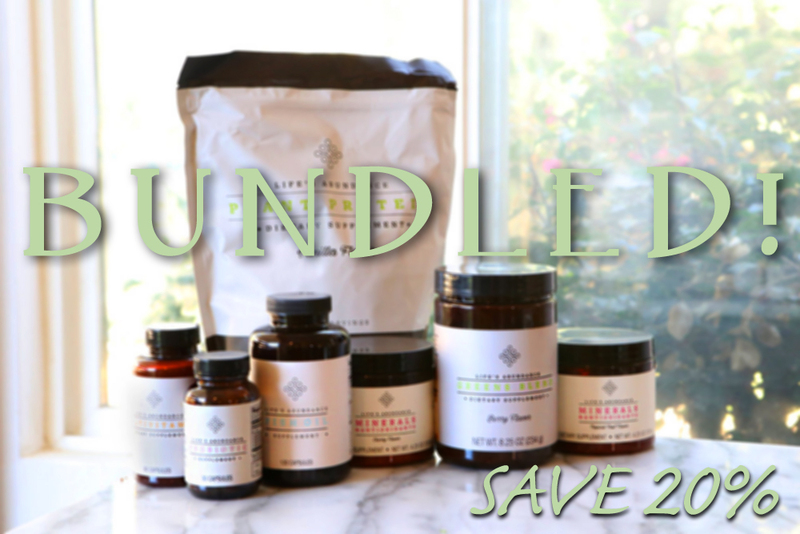 Nutrition product BUNDLES at 20% off retail from my brand partner! A single, 20 minute wellness coaching call. One-on-one, via a video call, FOR FREE, in the New Year. Email maggie@mywholehealthy.com to schedule your call. We can talk nutrition, we can talk fitness, we can talk life goals, your wellness needs, health questions, ways to detox your kitchen, strengthen your pelvic floor and flatten your tummy...anything really to do with how to be Your Whole Healthy. Our frame of mind is essential to our health, and allowing the boring, every day stuff to carry special meaning for us, or at least make us notice and pay attention for a moment, can help create larger shifts toward better health. Seeing everyday magic can help us lower our stress response which can help alleviate tension, prevent over-production of the stress hormones adrenaline and cortisol, helps us be more mindful and breathe more deeply which can help alleviate physical pain, and help the body's detoxification process. Click to enlarge image and feel free to save it to your desktop. I mentioned my nutrition partner's incredible deal above but if you want to try the products I can't stop talking about and use every day, I want to give you that chance! Email me at maggie@mywholehealthy.com, with your mailing address, and I will send you some to try in single serving travel packs! 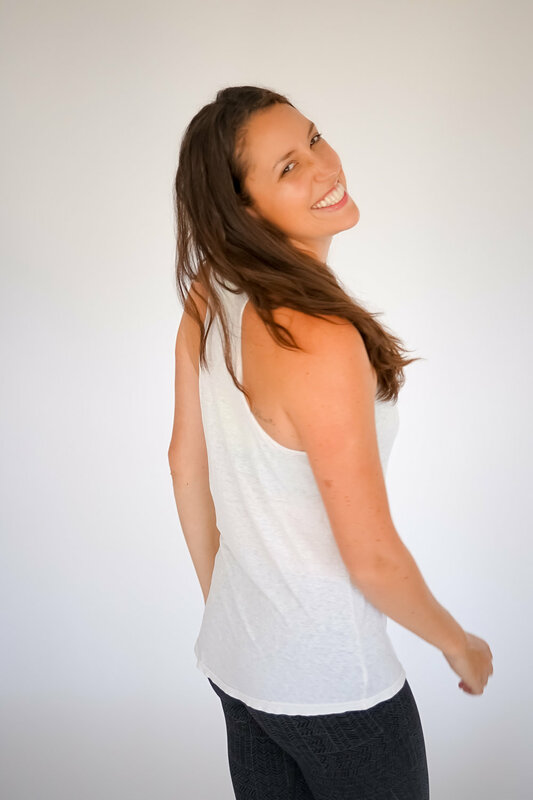 My good friend Jessica Cartwright is a yogi, a healer, and an intuitive powerhouse. I have benefitted from her guidance and her yoga instruction, so I know she's good. She offers something called a Spirit Cleanse that helps people get questions answered, release stress, and/or get set up with a personalized meditation practice, and lots more, depending on what you need. And she's offering it to you, my Whole Healthy Notes subscribers, for FREE! All you need to do is email her at hi@jessicaenergy.com to book your complimentary Spirit Cleanse! I won't know if you do it or not, so it's totally up to you. I have a little copper band bracelet that I got from my Wildheart friend, Sally Hope. It's stamped with a word that resonates in my soul, and I want you to have whatever word you need, too! 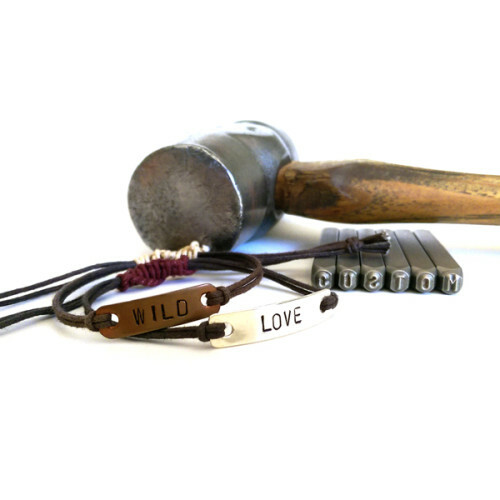 So I'm so excited to share Sally's limited-time, wildheart discount on these gorgeous, handmade custom bracelets. Get yours before Dec. 31, 2016! Click here to design yours! I get nothing if you decide to order one. They're just really special and I wanted to share them with you. I had NO idea why the number "7" was considered lucky until I found THIS article. But in the spirit of luck, and with 2016 being an especially rough year for many people, I think we could all benefit from feeling lucky! Good news. We all make your own luck. Which is pretty awesome, because it means we're in control. Prepare. And then look for the opportunities. You can download this image to keep! Download it the usual way you save images off the web. May 2017 be your luckiest year yet! Have you ever heard the word Chakra and wondered what it meant or how it might play a role in your health? Maybe the idea has sparked your interest but felt it was a little too ‘out there’ and you weren’t sure where to go with it next. 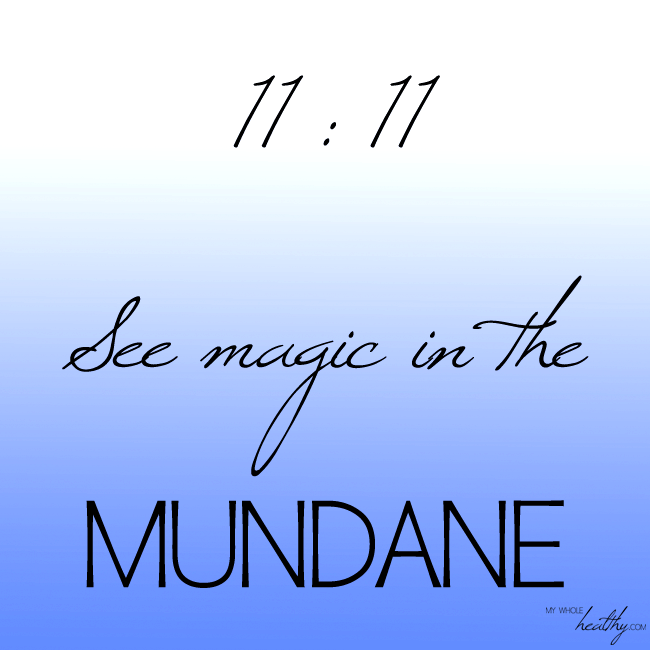 I want to give you a chance to explore this curiosity with a down to earth, highly sensitive, intuitive chakra mama. My good friend Kristen Beeler is a psychologist, hormonal nutrition specialist, and certified Chakredy practitioner who works with our physical, emotional, and energetic body in a way you have never experienced before. I usually prefer paths to wellness that are physical and tangible. But sometimes, nutrition, exercise, physical therapy, massage, and even meditation and deep breathing don't produce the breakthroughs I'm seeking. Kristen's intuitive, energetic skills can see right through everything that's clouding me and holding me back. WIth her, you will explore your unique energy field and receive a personalized, priority chakra pathway to guide your desired actions for 2017. I have a friend named Maggie, too. We are kindred spirits in more than our names and lately her creativity, along with her focus on wellness, has exploded! She's designing super cute work out leggings that are handmade in Montreal, Canada, with eco poly (click to learn more) and solvent-free inks. I now have 3 pairs myself! They feel so good and the stretch and hold is amazing. And, she has a discount code for YOU! I want to know... what YOU want to know! Today's gift is creating custom content for YOU. All you need to do is email me (maggie@mywholehealthy.com) with what you'd like to see more of in 2017... and I will make it for you! Even if you're the ONLY person who asks for it. WHATEVER it is, tell me and your wish is granted! I am so excited to create custom content for you because if you want it, guaranteed, you are NOT the only one. Your request will help so many others! I want to make the exact custom content you've been wanting and waiting to see, and I just haven't written or recorded it yet. I seriously want to give you whatever whole health related content that you want/need. I already have a request for more gluten free recipes, so bring it on! 10 Days until the New Year! To help you start 2017 off in the most whole, healthy way, I am giving you a single 1/2 hour, private, laser-focused, pay-what-you-can wellness coaching session with me. Get the guidance and support you need to make 2017 your healthiest, most empowered year yet. I wear my My Whole Healthy organic cotton apparel ALL the time. These tops have the softest cotton I have ever worn and the fit is superb. And I want you to be comfortable, empowered and healthy in them, too. to get 50% off ALL My Whole Healthy apparel until Jan. 31, 2017 at 11:59 pm PST. Your purchase helps traumatic brain injury survivors because ALL proceeds now go to benefit the Love Your Brain Foundation, helping TBI survivors have a better quality of life through yoga (which helped me more than I can even describe), support, and more. Christmas is here! Wishing you a very happy holiday and a whole, healthy New Year! Enjoy all of today's gifts below, and everything from the past 11 Days posted above! You may not know this, but aside from being passionate about health and wellness, I am a total photography nut! Right click, and save to your desktop. This photo is copyright and available here for your personal use only. It may not be shared, sold, or used in any other way without express written permission. Thanks!